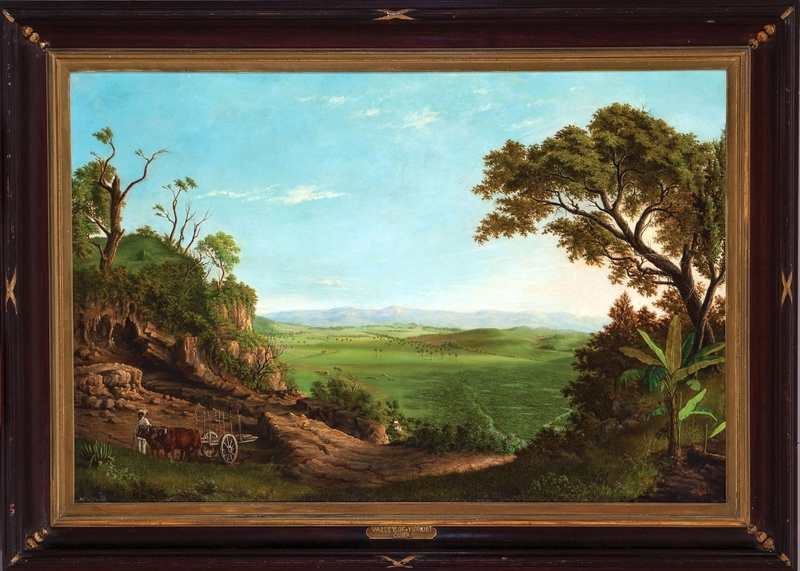 This lush Nineteenth Century view of the Yumuri Valley in Cuba by Alfred Gault, born in New Orleans in 1840, was the top lot of the sale at $33,500. NEW ORLEANS, LA. – Warming up a cold snap in the Crescent City, Neal’s winter estates auction saw more than 1,100 lots cross the block in the January 27-28 sale. 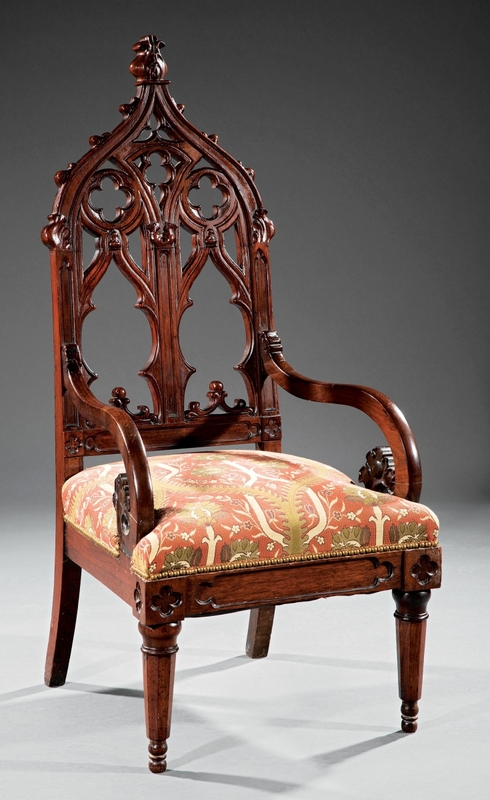 The firm continues to offer a magic mix that is strong in regional artists of the Nineteenth and Twentieth Centuries interspersed with period furniture and decorative art from important Southern sources. 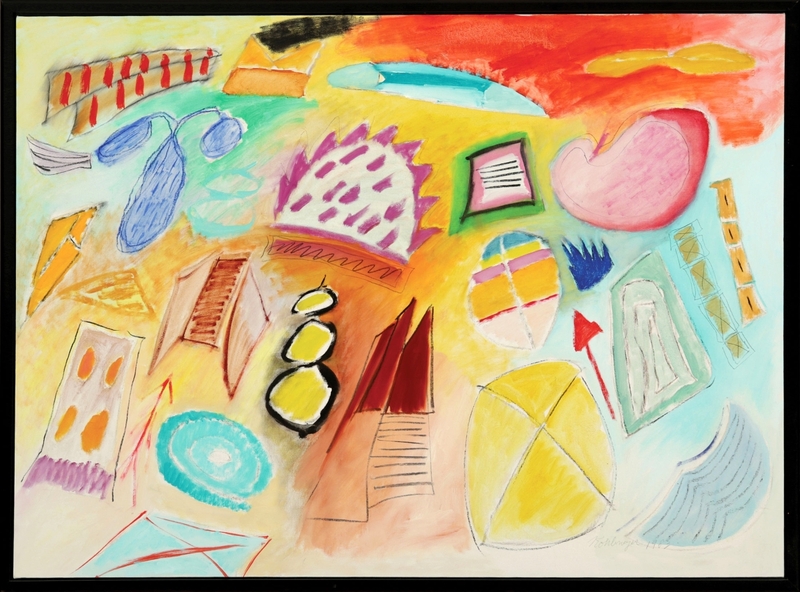 As is the case around the United States, sales of contemporary art are particularly brisk with buyers knowing precisely who and what they are looking for. 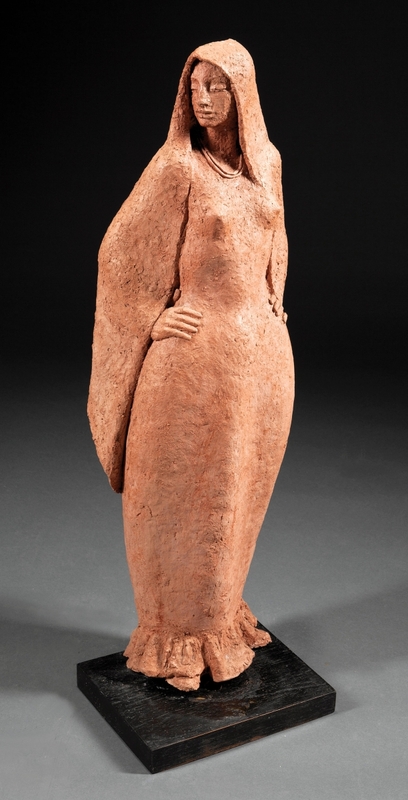 The cover lot was a sensitively rendered terracotta female figure draped in a cloak, 28¼ inches high, by Enrique Alferez (1900-1999), which brought $19,520. Born in Mexico, Alferez rode with Pancho Villa before coming to the United States to study in Chicago. 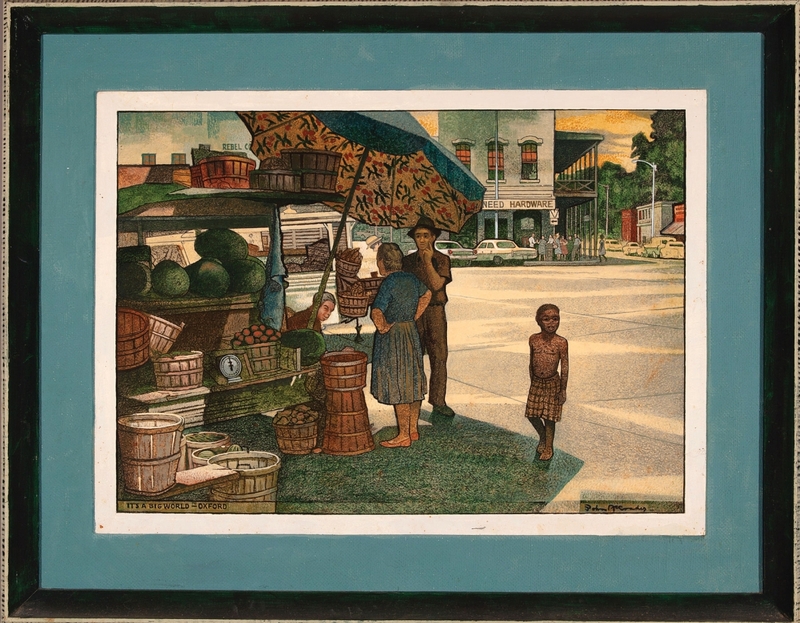 He settled in New Orleans in 1929, and his work has become the artistic soul of the city. A 1987 bronze of a seated “Woman in a Huipil” inspired sustained bidding at Neal’s in November 2017 when it sold for $14,640. The future disposition of one of the artist’s public installations has been in the local news. The former Times-Picayune newspaper building on Howard Avenue was sold to a group of investors in September 2016. In the lobby was “Symbols of Communication,” Alferez’s 1967 series of plaster bas-relief plaques that form a wall-sized mural. The final destination for such a large-scale work remains uncertain. Marney Robinson, Neal’s art specialist, said after the sale, “I was excited by the results for the Alferez sculpture, the cover lot. I thought that did very well, and it’s exciting to see that medium take off for him. His bronzes do well and the terracotta works are perhaps less noticed, but you really see the hand of the artist in that medium.” Collectors in town for the auctions can see 14 of his outdoor works in the Helis Foundation Enrique Alferez Sculpture Garden at the New Orleans Botanical Garden in City Park. Contributing to the popularity of contemporary regional artists is the something-for-everyone quality of the prices. 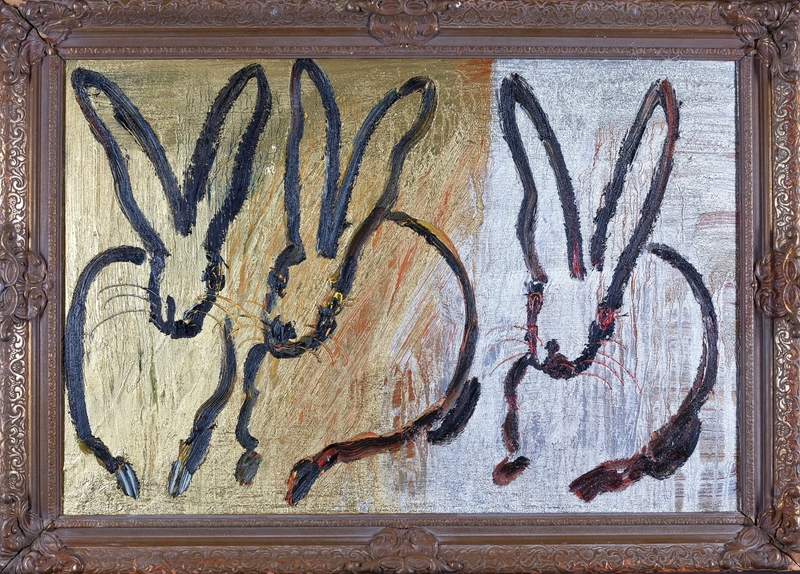 Even relatively recent works can pop into the five-figure range – for example, Hunt Slonem’s 2016 rabbit trio, or “Eat Me,” a bright and expansive 2007 candy composition by Louisiana artist Ashley Longshore, which sold for $14,640. But bidders could also secure signed “Blue Dog” silkscreen prints by popular local artist George Rodrigue (1944-2013) for around $2,000. More works by self-taught artist Clementine Hunter (1886-1988) will be offered later this year, but in this sale a “Still Life with Zinnias” was purchased for $2,440 and a view of Africa House at Melrose Plantation for $3,660. Although he worked and taught in New Orleans, John McCrady often drew inspiration from his early years in Oxford, when his father taught at the University of Mississippi. Sold for $28,160, this scene of Oxford’s town square includes self-portraits of the artist and his wife at center. Beyond the local, the New Orleans market fields artwork from a variety of national and international artists. Notable among these were two works purchased from Santa Fe galleries that came up in the Saturday session. 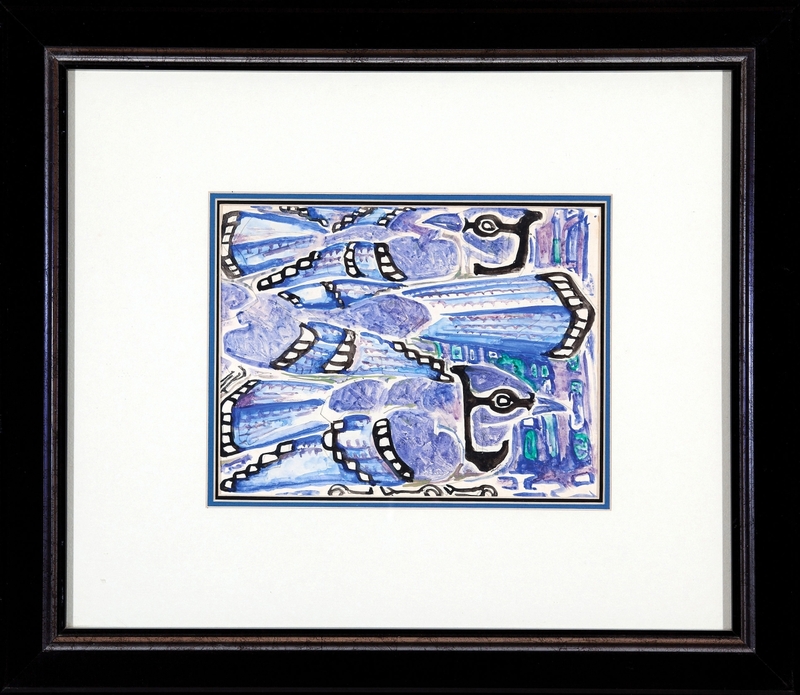 “Rope Weavers of Belmonte,” a 1987 work by New Mexico painter Clark Hulings (1922-2011), sold for a high estimate $25,620. Hulings was born in Florida, earned a physics degree from Haverford College on Philadelphia’s Main Line, and eventually settled in Santa Fe. The Spanish setting of this painting reflects time he spent traveling in Europe. Nearby in the sale, “Random Figures,” a small painting by Boston Post-Impressionist Maurice Brazil Prendergast (1858-1924), brought $7,320. 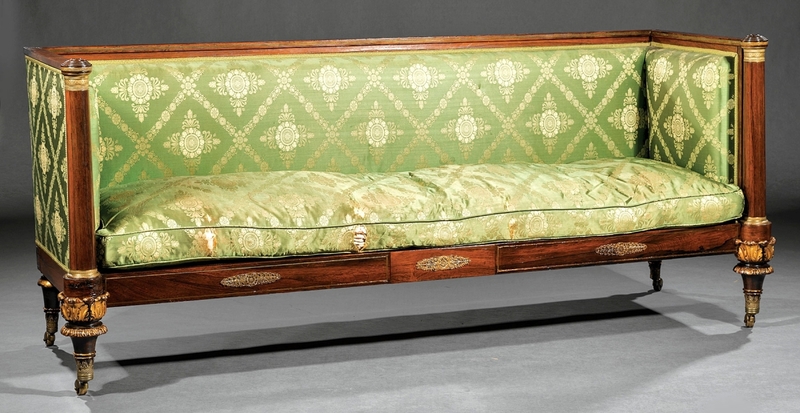 The leading lot from the Nineteenth Century furniture offerings was yet another Belter-attributed table from the “Service Collection” formed by Grant A. Oakes of Warren, Ohio. 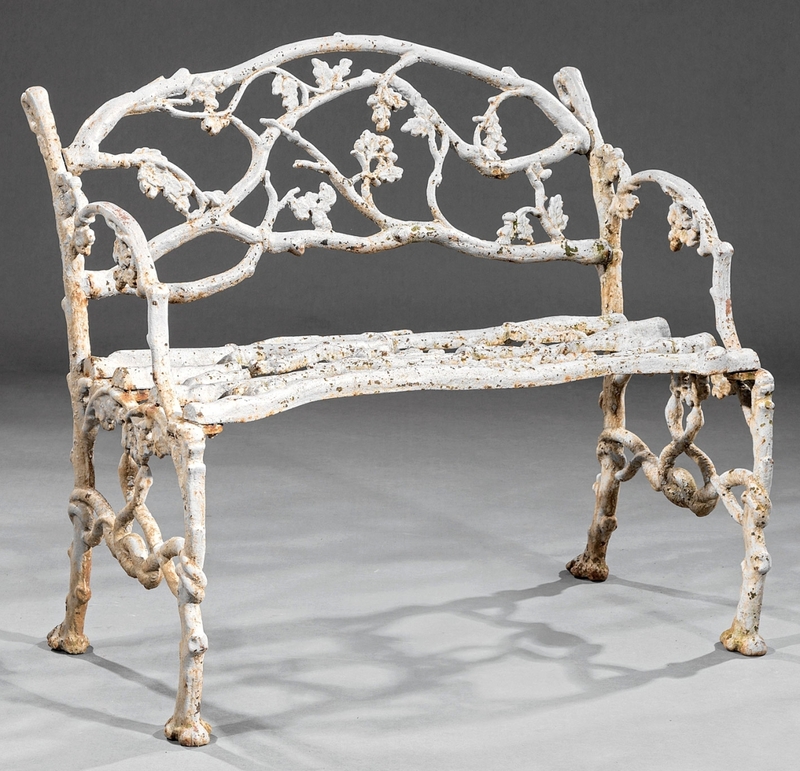 The firm began to offer pieces from the collection – especially strong in the elaborately carved Rococo Revival furniture made by John Henry Belter and in period lighting fixtures – in the January 2015 sale. At that time, Neal Alford said of Oakes, “He wanted the best, was able to pay for the best and ended up with the best. 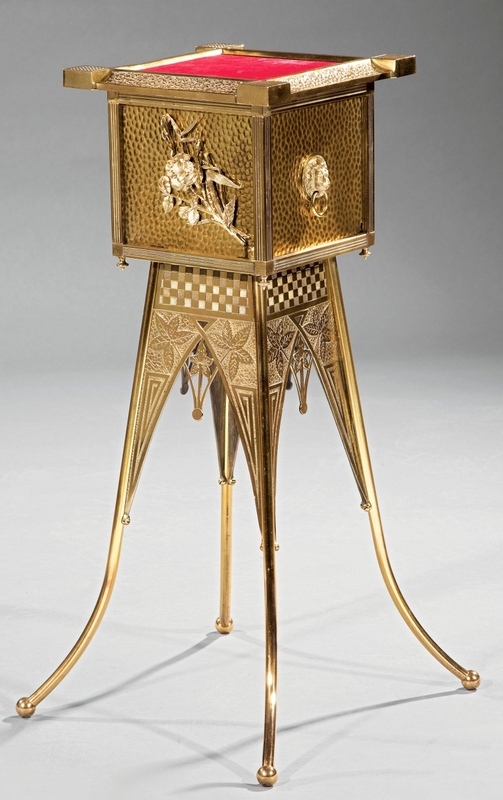 There’s no collection anywhere that has the quantitative consistency that his does.” The collector was especially fascinated by the center table form and its ornamentation. In 2015, four such tables sold for more than $50,000, with one reaching $86,638, years after the peak market for furniture of that type. 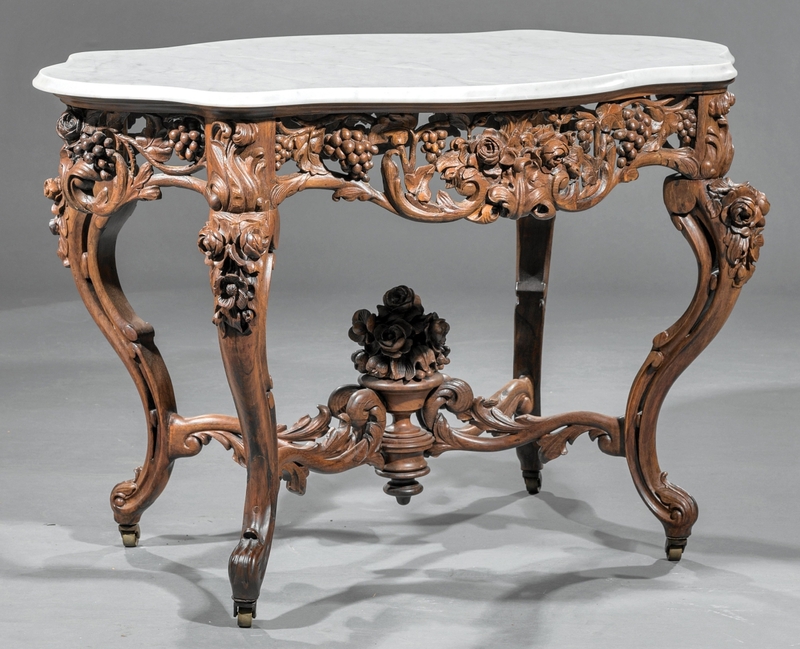 The table in this sale had a marble turtleback top and an apron with an openwork pattern of grapes and vines; it sold over estimate for $21,960. 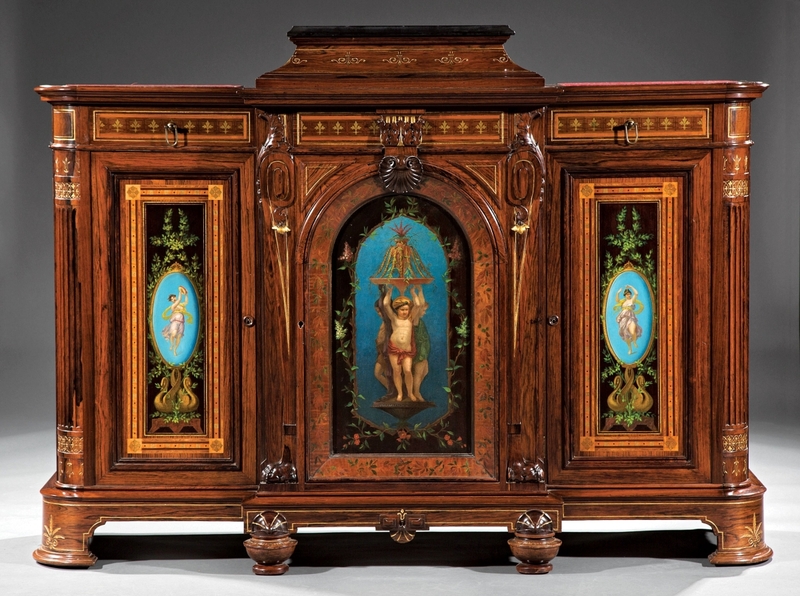 Another notable furniture lot in the sale was an American Classical armoire in dramatically grained Santo Domingo mahogany, circa 1820, which brought $10,065 ($4/6,000). 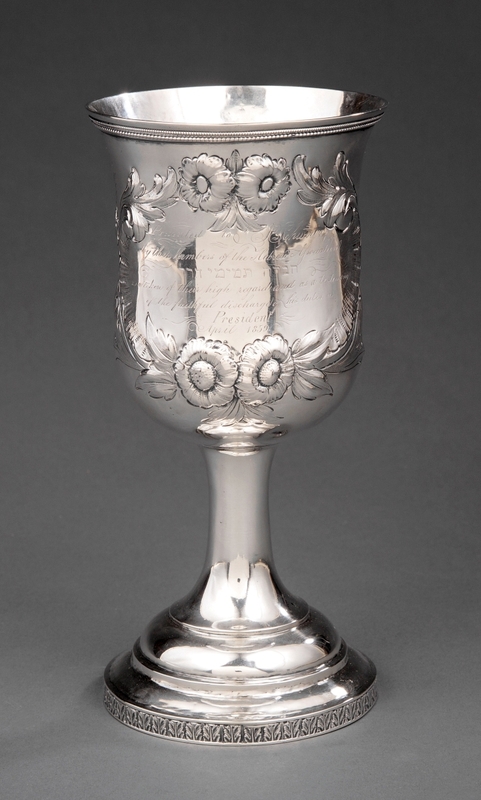 Cataloged as “probably Louisiana” in its manufacture, it had originally come from Houmas House Plantation in Burnside; it had previously passed through Neal’s hands in 2003 and 2015. From the other side of the world, a pair of Chinese Qing dynasty hardwood corner-leg stools sold for $10,980. Robinson continued, “She covered the walls of the plantation buildings with murals back in the late 1950s at the request of Francois Mignon, who was sort of her agent; he lived on the plantation and was the historian there. The paintings now reconstructed on site are in the Africa House; these paintings are from the Yucca House.” Melrose Plantation in Natchitoches Parish in north central Louisiana – not to be confused with the Melrose mansion in Natchez, Miss. – is a National Historic Landmark with a complex history revolving around a community of creoles of color and free blacks; read more at www.melroseplantation.org. Archaeological excavations and ongoing research continue to unearth information about daily life on the site. Prices reported include the buyer’s premium. 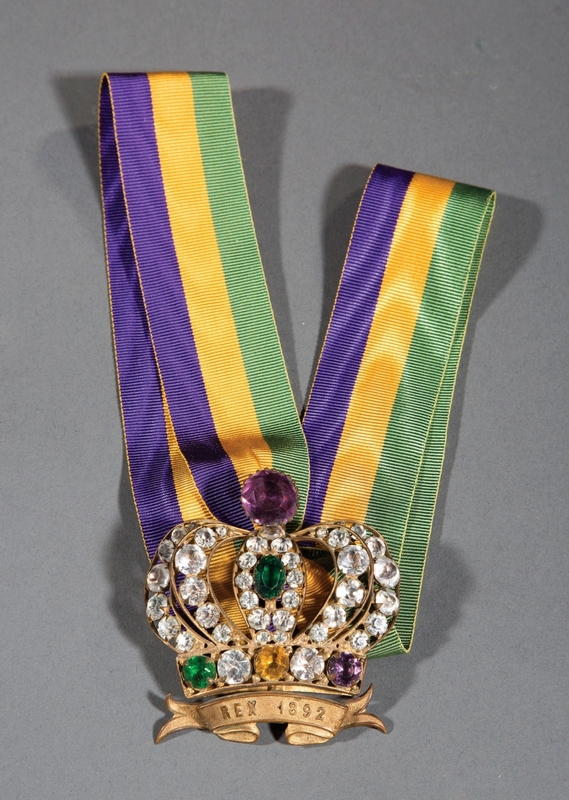 For information, www.nealauction.com or 504-899-5329. The sale’s cover lot, the terracotta sculpture of a “Standing Cloaked Woman” by New Orleans favorite Enrique Alferez (1901–1999), surpassed its high estimate to bring $19,520.